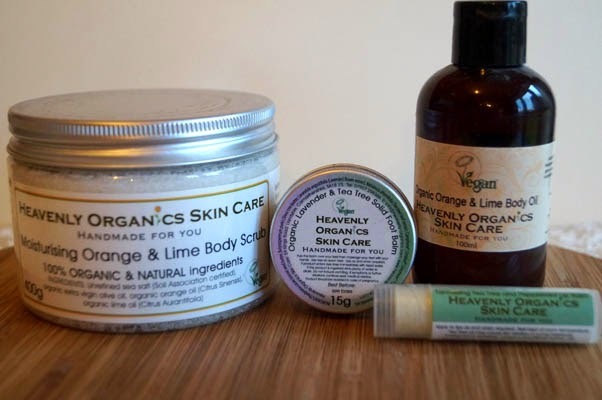 Quite some time ago (in fact it was last October) I visited the West Midlands Vegan Fair and I had the pleasure to meet Mary-Anne who owns Heavenly Organics Skin Care. Her range is absolutely fabulous and you can purchase anything from soothing foot balms to body scrubs to dry shampoo. I'd heard good things about her products and had been a twitter follower for some time so it was great to meet Mary-Anne in person. Mary-Anne started her business as she found it difficult to purchase organic and vegan skin care products. Every Heavenly Organic product is hand made and contains no chemicals, all products are vegan and use organic high quality ingredients. I asked Mary-Anne which product she was most proud of and it was the first product she created, her fabulous body scrubs. To top things off Mary-Anne also gave me a Tea Tree & Mint Lip Balm - Bonus! How lovely is that? I've been using the products since last October and I can honestly say that her company name says it all; "Heavenly Organics". 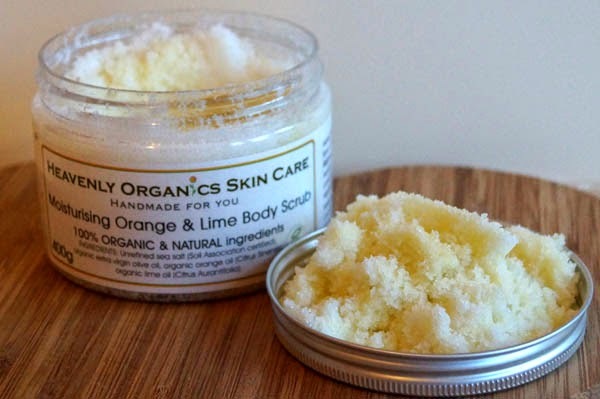 The Moisturising Orange and Lime Body Scrub smells absolutely divine, good enough to eat in fact. Your skin feels alive after using it and so soft. The only ingredients are unrefined sea salt, extra virgin olive oil and two essential oils; orange and lime. That's it! All natural ingredients. 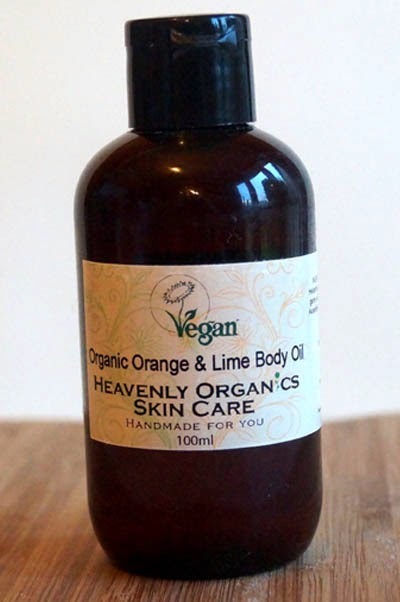 The Organic Orange and Lime Body Oil was a perfect match after using the Moisturising Orange and Lime Body Scrub. As you know I am a great believer in aromatherapy, and the smell of this product is just gorgeous! It will keep you smiling throughout the day, thanks to the health benefits of orange essential oil, known for raising your mood and creating a relaxed feeling. The lime essential oil is also a great addition as it is great for your skin as well as helping to protect you from viral infections, such as the common cold. When I first opened the little tin to reveal the Lavender & Tea Tree Foot Balm, I just loved the mould, how pretty, such a great start! The smell was once again divine and was so easy to use. Instead of scooping out a cream and 'losing' amounts on your hands you could just rub this over your feet. After a long day on your feet this is a great soother, revitalising your aching feet. I'm not one for using lip sticks or lip balms due to the fact that I have suffered with coldsores in the past, an outbreak of coldsores for me doesn't mean the odd one but my poor lips are covered in them making it extremely difficult and very painful to drink, eat and talk. So if I'm honest I was sceptical in using this product, but I needn't have worried. The Tea Tree and Mint Lip Balm was a pleasure to use and thanks to its organic and non chemical ingredients my lips haven't suffered and are well moisturised even throughout these cold winter months. Lavender essential oil is well known for its antiviral and antibacterial properties so I'm sure that has helped keep the pesky coldsores at bay. 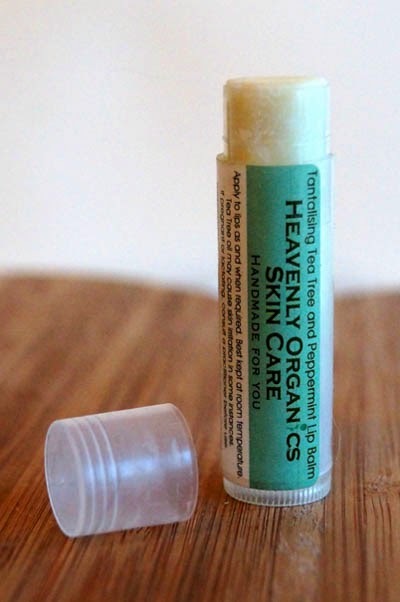 The smell was again divine and the peppermint essential oil gave my lips a cooling sensation when applied. 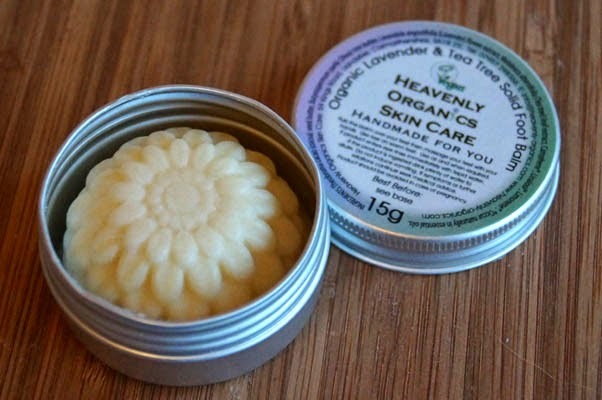 Overall the products that I have tried are fabulous and I wouldn't hesitate in trying out more products from the heavenly organic skin care range. I was delighted when Jessica from Kiss Me Organics got intouch and asked if I wanted to review their Organic Matcha Green Tea. I adore Green Tea, I can't get enough of the stuff so I didn't hesitate in accepting her offer. As the product comes in powder form you can make your creations as strong or mild as you like, you really have the control to adjust to your specific taste. I couldn't wait to try it out in a few different creations. Obviously you can drink it as a tea (hot or cold) or a latte, in fact on purchasing the organic match green tea powder you also get sent a whole heap of recipe ideas, bonus! 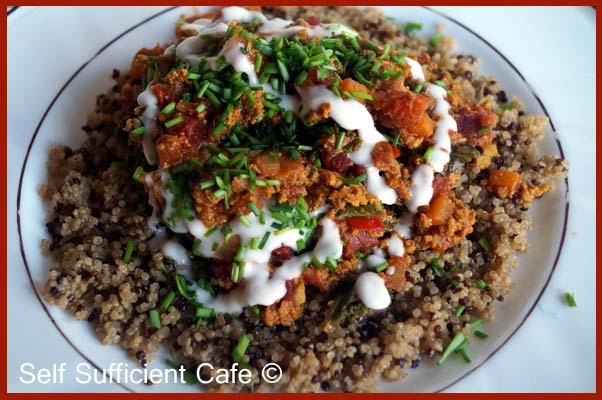 Unfortunately most recipes aren't vegan but can easily be adapted. But who needs recipes, I couldn't wait to experiment. I was not disappointed in the slightest! I love the stuff, I got that carried away making different creations (none which were disasters which is fabulous for me) that I didn't manage to make much tea at all. Thankfully I have some left and I've promised myself to enjoy it as cups of tea! 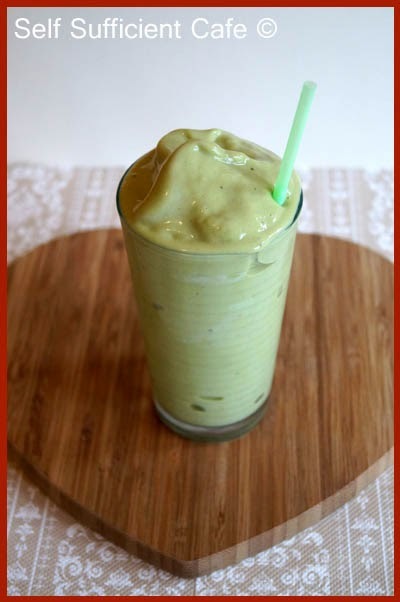 My first creation was a Matcha Fruit Shake as it takes no time at all to whiz one up. For other fruit shake ideas see my earlier post. I've been having matcha fruit shakes for the last 5 days and I love them. Add the ingredients to your blender in the order provided and blend until you have a thick but smooth shake. Pour into a glass and enjoy. Caution: please check your blender is capable of blending ice cubes. I love my fruit shakes and they are perfect for breakfast on the go, just pour into a screw top beaker and take with you. If you prefer to drink your fruit shakes through a straw I would advise that you use fairly wide straws as the mixture is thick! 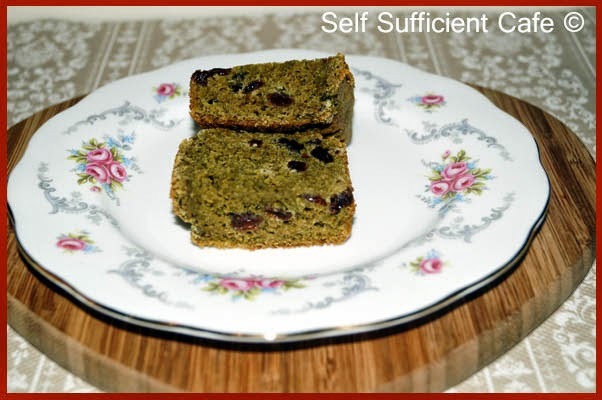 My next creation was an Organic Matcha Green Tea Loaf using organic raisins and it went perfect with the fruit shake as a mid morning snack, or should that be meal! Turn on your oven to a medium heat, around 180 - 190°C. Line a loaf tin with baking powder or a ready formed baking case, which is much easier! In a jug mix the Organic Matcha Green Tea Powder with the boiling water making sure all the powder is incorporated. Add the agave and lemon juice and whisk in. In a separate bowl combine the sieved flour with the remaining ingredients, stiring to combine fully. Pour the matcha liquid into the flour mixture and stir to incorporate all the ingredients. Bake in the oven for 25-30 minutes or until the top of the loaf springs back when lightly pressed. Let the loaf cool slightly in the tin before removing. 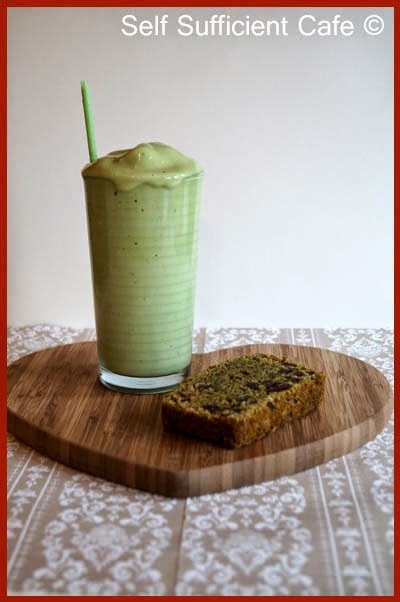 Enjoy a slice with a cup of green tea or my match fruit shake. I'll share my other two recipes with you over the next couple of weeks. 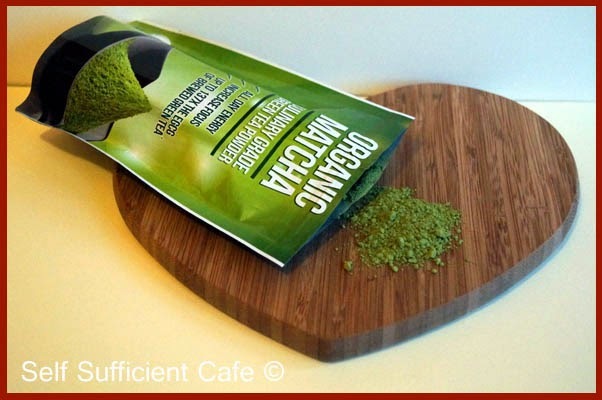 If you would like to purchase a packet of Kiss Me Organics Organic Matcha Green Tea Powder they sell exclusively on Amazon and you can find their product here. It's that time again, when the lovely folk at Suma Co-op send me a parcel of goodies that I have chosen and I whip up a recipe with the said goodies. 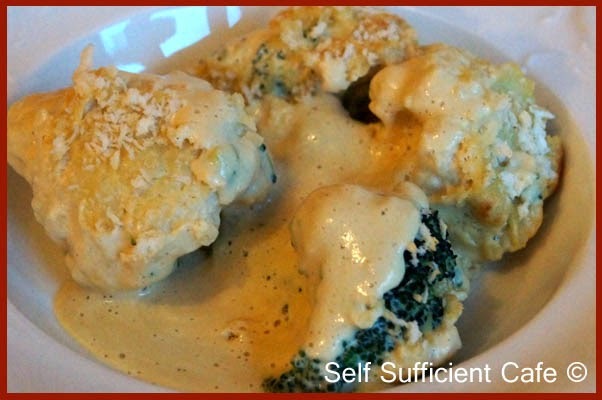 This time I'm still craving comfort food and this is my go to recipe for just that. 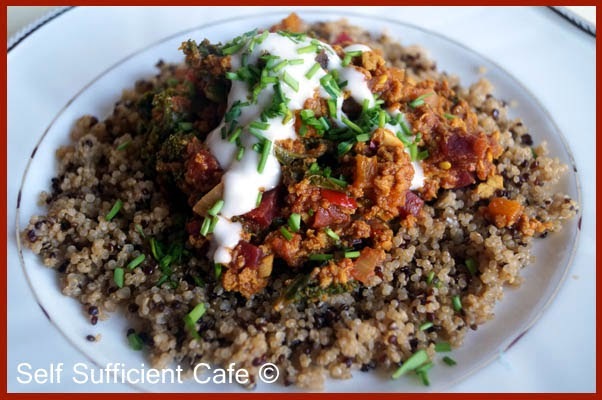 While my dad was poorly in hospital I made this a lot as it is really quick and super easy as the recipe uses store cupboard ingredients for the sauce. In fact I use this sauce quite a lot! 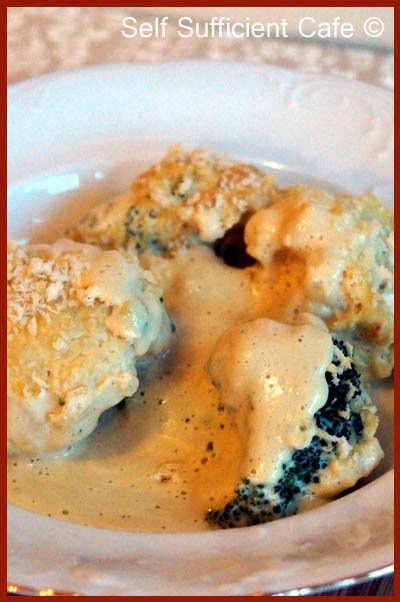 The sauce poured over broccoli and cauliflower resembles a cauliflower cheese or the usual broccoli & cauliflower bake on pub menus for vegetarians! You won't need all the sauce for this recipe, but the left overs keep well in the fridge for a couple of days, just shake before using. You can use the leftover sauce to make a vegan macaroni cheese or as a base to another pasta dish, just add other ingredients to tweak as you feel fit. I love adding mushrooms and basil and using as a pasta sauce. You will have around 250ml of sauce left over, unless of course you want more sauce to your mornay! 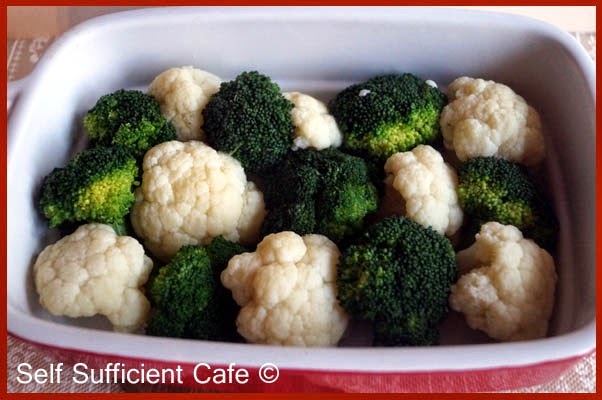 Boil the cauliflower florets for 5 minutes, add the broccoli florets and boil for another 4 minutes. Drain straight away and return to the pan to steam dry. Meanwhile make the sauce, which is easy as 1, 2, 3! Pour the almond milk into a blender, (I use my fantastic Vitamix) and add the cashews, white miso, nutritional yeast, mustard powder, turmeric and salt. Blend until silky smooth, don't worry if you think the sauce is too thin, it thickens as it heats up. Place the vegetables into an oven dish. Pour over the sauce and sprinkle over the panko breadcrumbs. Bake in a moderate oven for 25 minutes or until the breadcrumbs have gone golden brown and the sauce is bubbling around the edges. You can see how the sauce has thickened, it almost looks like a batter! Enjoy on its own or serve with a few chips and peas. I've just noticed that 3 out of my 4 Suma recipes are 'cheese' based! 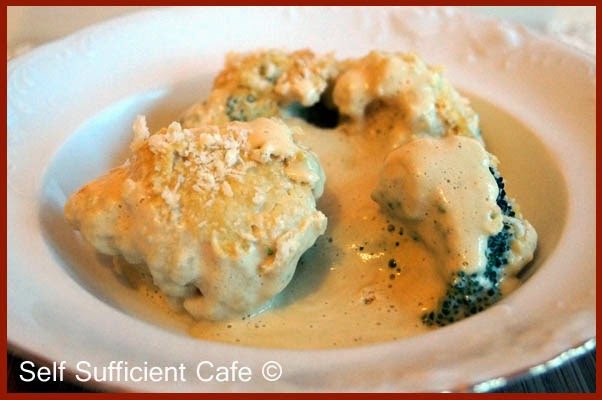 I'll try and steer away from 'cheese' for my next recipe for Suma, perhaps another dessert? Anything you would like to see more of? Let me know in the comments. 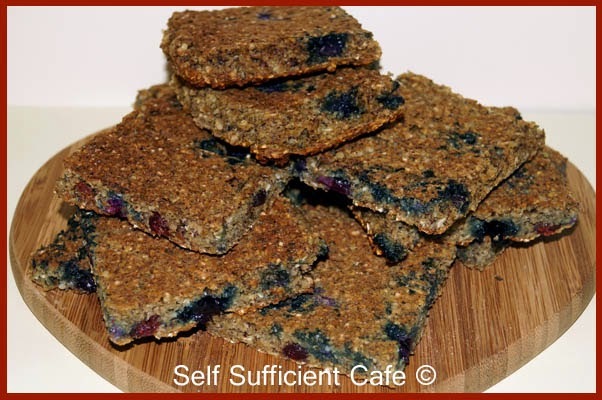 As part of my Winter Wellness Series I shared my Winter Wellness Happy Bites, which were great as an on the go breakfast as well as mid morning fix. They freeze really well, I just take one out of my freezer just before I leave work and by the time I get to work they have defrosted ready to be eaten. As an added bonus I used the frozen oat bars on my tennis elbow on the way to work, perhaps that's why they defrosted so quickly as my elbow is HOT! Mind you I have been getting some weird looks on the bus! 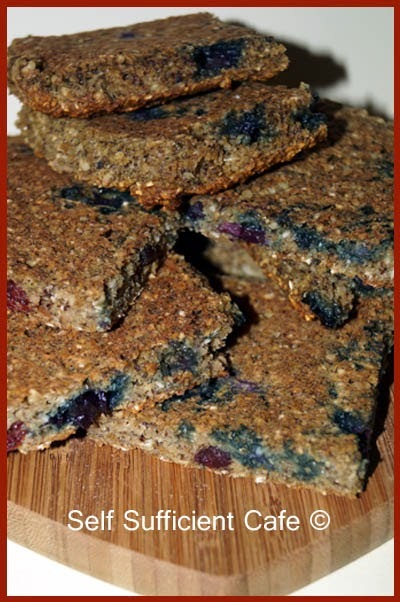 This time I made the oat bars with fresh blueberries and dried cranberries and they were delicious! These freeze well too. 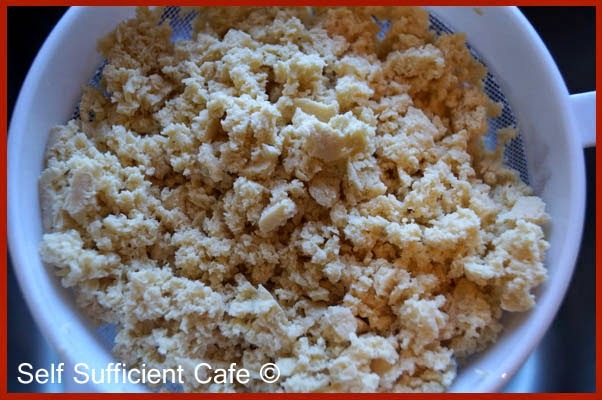 Place the oats in a food processor and pulse until you have an oat flour. Tip into a bowl. Add the next 5 ingredients to the oat flour and gently mix everything in. Slice the bananas into the food processor and pulse until mashed, add the silken tofu and pulse again to combine. Add the vanilla yoghurt, lemon juice and agave nectar to the food processor and process until everything is mixed in and you have a nice 'batter'. Pour the wet ingredients into the dry ingredients and stir to combine. Add the blueberries and dried cranberries and stir through the mixture. 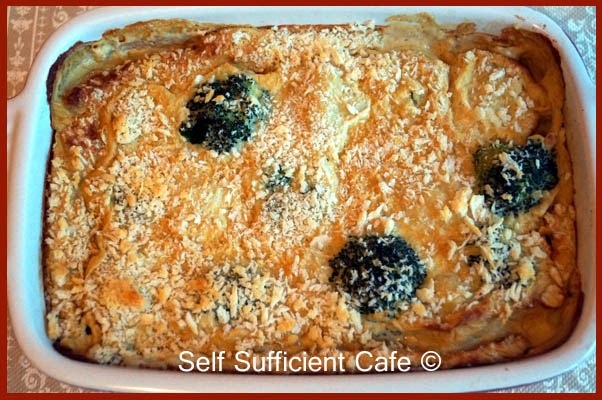 Bake in a moderate oven for 20 minutes or when the mixture springs back when gently pressed. Cool in the tin and then tip onto a board and peel off the greaseproof paper. In the final part of my Winter Wellness Series I talk about inflammation. If you're like me and you suffer with different types of inflammation then perhaps we should take a closer look at our diets and eat foods that help to curb inflammation. Our bodies use inflammation to help heal and protect and it is a natural response of our body's immune system. However, it can get out of hand and become extremely painful. I've suffered with bursitis, tennis elbow and more recently sciatica, which are all types of inflammation and although you try to carry on as normal the pain can grind you down until you stop and rest. Medication can help too in different forms, but do the foods we eat also have an effect? I have learnt that foods high in saturated fat and sugar can activate inflammation in our bodies. But I don't think my diet is high in either, sure I enjoy a piece of good quality chocolate and I like the odd vegan biscuit - OK Packet! One reason I tend not to buy them, but if they're on offer I just can't resist. I thought saturated fats were mainly found in animal products like cheese, butter and cream but they're also found in palm oil and coconut products. Both palm oil and hydrogenated fat is found in processed food like biscuits, margarine and ready made meals. 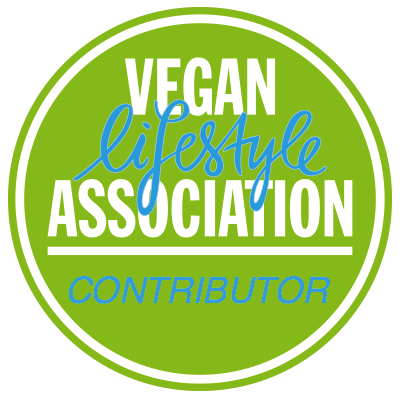 So I guess I need to start cutting down on the biscuits and margarine as I rarely have a ready made meal, in fact the only one I can think of is vegan sausages! Further research found that some nuts especially brazil nuts were fairly high with saturated fats; brazil 26%, cashews 21% however they also had higher mono-unsaturated fatty acids, which can help lower blood pressure. I think it is time that I started a food diary so I can actually see how much fat and sugar I am taking on board. But wait, there is food out there, which can help! Its all about making the switch. Garlic - Yes, its here again thanks to its anti-inflammatory properties. Studies have shown that garlic works similarly to some types of pain medications, specifically Non-Steroidal Anti-Inflammatory Drugs (NSAIDs), which are used to treat various conditions. Whole Grains - It is reported that eating whole grains instead of the refined foods, such as pasta and rice can help keep inflammation in check. Whole grains contain a heap more fibre and have less added sugar so they're way better for you, but we all knew that already, didn't we? When you visit your doctor with a inflammatory condition, they usually take a blood sample and one of the tests they might undertake is looking at the levels of "C-Reactive Protein" which is a marker of inflammation. More fibrous foods have been shown to reduce the "C-Reactive Protein" so another great reason to swap to whole grain! 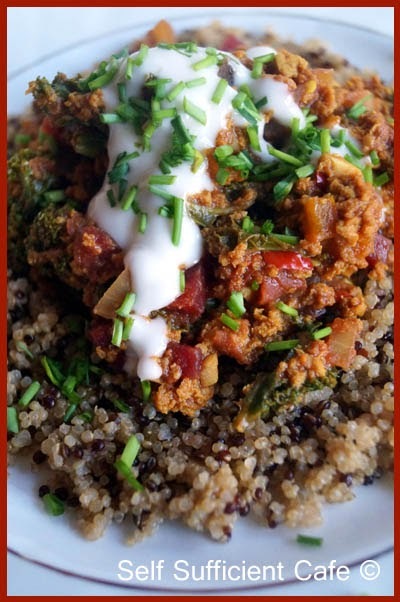 If you only make one change with grains it should be to eat quinoa which is a complete protein containing all essential amino acids, and it will fill you up! Wild rice is another great swap so next time you go shopping just remember quinoa, wild rice and whole grain pasta and you can't go wrong. Leafy Greens - You've already seen that leafy greens are good for your health as they are full of important nutrients, including vitamin E, which is reported to protect the body agains inflammation. Almonds & Walnuts - Another source of inflammation fighting omega 3's is nuts, which are also a good source of fibre and vitamin E.
Chilli & Cayenne Peppers - These spicy morsels are rich in capsaican, which is also found in creams, lotions, gels and ointments you apply to your skin to reduce pain and inflammation. I think a hot and spicy chilli is in order! Tomatoes - Another ingredient of a good hearty chilli! Tomatoes are reported to help reduce inflammation throughout the body, thanks to the high levels of lycopene which increases through cooking. Beetroot - You only have to look at a beetroot and its vivid colour to believe that it has to be good for you. Beetroot is full of antioxidant properties which are reported to reduce inflammation. Turmeric - This spice contains curcumin, which reportedly has powerful anti-inflammatory properties. Unfortunately it is not absorbed into the bloodstream very well and it is unlikely that you will be able to eat sufficient to make an impact. However it is available as an extract, something that I'm going to look into a bit more. Berries - Yep! Berries are here again, thanks to being high in antioxidants, but we should have realised that, just look at their vivid colours! One study reported that women who ate more strawberries had lower levels of "C-Reactive Protein" in their blood streams! Roll on summer! Green Tea - One of the most healthiest drinks you can have, it contains one of the highest amount of antioxidants of any tea and can help reduce inflammation, thanks to the natural chemicals found in the tea called polyphenols. Soy - Another food which was reported to have reduced the "C-Reactive Protein" and inflammation levels, especially in women. Squeeze the tofu until the moisture has been removed, it feels like a sponge and you will be surprised as to how much water comes out. Once the moisture has been removed crumble into a sieve and give the tofu one last squeeze. Yes, even more moisture will come out! In a bowl add the soy sauce, turmeric, cumin and coriander and mix to a paste. Add the crumbled tofu and mix so the paste is evenly distributed. Set to one side to let the flavours mingle, while you prepare the rest of the ingredients. Put a little cross on the bottom of each of the tomatoes and place in another bowl. Pour boiling water over the tomatoes and let sit for 5 minutes to loosen the skins. Pour the oil into a pan and add the onion, garlic and chilli, sauté for five minutes or until the onions start to become translucent. Add the capsicum and stir to incorporate with the other ingredients and sauté for anther five minutes. Remove the tomatoes from the hot water (carefully) and remove the outer skin and chop the flesh. Mix the bouillon powder with the hot water and stir. Add the tofu and spices to the pan along with the tomatoes and the kale. Give the mixture a stir before adding the vegetable stock and give the mixture another stir. Let simmer for 5 minutes stirring every now and again to stop the mixture sticking to the bottom of the pan. Next add the remaining ingredients and let the mixture simmer for another 10 minutes or until the kale is cooked, adding salt and pepper to taste, which you may not need. Top with vegan sour cream (made with tofu) and sprinkle chives on the top. Or top with home-made guacamole. Enjoy! I hope enjoyed the Winter Wellness Series, I will be posting more recipes soon using the foods I have found to help with the three most typical health conditions of winter. What are your favourite foods throughout winter and how do they help you? Let me know in the comments below.